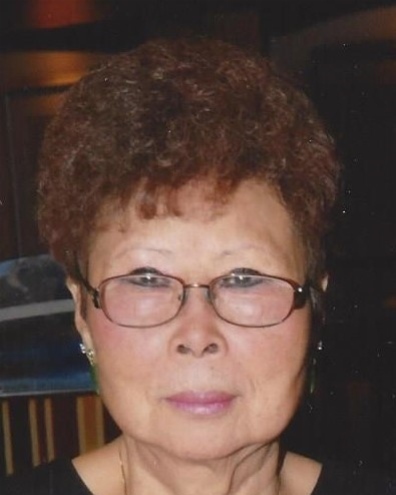 Sung S. Sorenson, 75, passed away peacefully Thursday, September 27, 2018 at her home in Columbia Falls. Sung was born in Korea on September 17, 1943 to Sang Gab Lee and Suk Soon Lee. Sung lived in Columbia Falls since 1967 and retired from School District 6 as a custodial engineer. Sung loved her flowers and loved going on cruises for vacation. She is survived by her beloved husband of 54 year Raymond Sorenson, her two boys Richard and Johnny, 3 grandchildren, Justin, Morgan and Addison, and her sister Jae Soon Jung and niece Sun Wha Lee in Suwon, Korea; plus many other cousins, nieces and nephews. Sung and her fried rice will be missed at friend and family gatherings. She will be remembered for her gallon jars on the kitchen porch holding pickles, kimchi and other Korean delicacies but she will mostly be missed because of her kind and gentle nature. The family asks that memorials be made to Shriner's Children Hospitals. Services will be at Columbia Mortuary on Wednesday, October 3rd at 3 P.M.
Columbia Mortuary is caring for the Sorenson family.